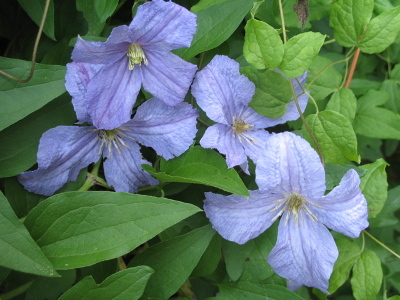 Emilia Plater Clematis: looks great combined with daylilies. Emilia makes a great backdrop for day lilies in midsummer. Imagine her with Jackmanii or Rooguchi! This stunning variety is named after a heroine in her native Poland.